Make sure you have a full tank of fuel to maximize your run time during an emergency. Every gallon of fuel could become critical if access to your facility becomes impaired and fuel delivery trucks can’t reach you in a timely manner. Do you have a fuel delivery team on call? Best practice would be to have a fuel vendor lined up well in advance of an emergency to ensure that they can respond quickly. When your fuel gauge is near empty, is not the time to start thumbing through the Yellow Pages for a fuel delivery source. 95% of generator failures are due to poor fuel quality and clogged fuel filters. Best practice is to keep a few spare fuel filters on the shelf that your maintenance staff can use for quick changes, if necessary. Not sure how to do this? Your service provider would be happy to inform and train your staff. 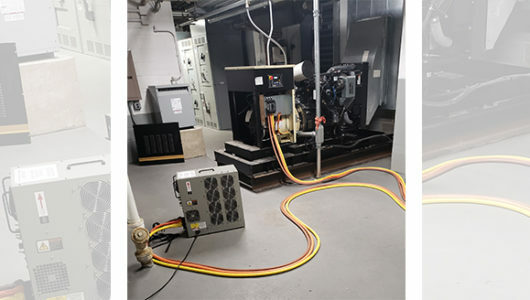 If there is an emergency and your generator fails to start, your service provider will do everything they can to get to you as quickly as possible. However, it is important to remember that during some recent weather events, flooded streets, downed trees, and other situations may delay a technician from reaching you quickly. Is your battery charger plugged in? Believe it or not, we have been called out for fail to start concerns only to find that the battery was dead due to the charger’s power cord being pulled from the wall receptacle. Don’t find yourself adding to that statistic. Make sure yours is plugged in. P3 Generator Services is here to help you before and during any weather related emergency event. Working with your team and preparing them in advance is part of creating a winning combination that will weather any pending storm. Proper fuel storage to ensure reliable generator operation. 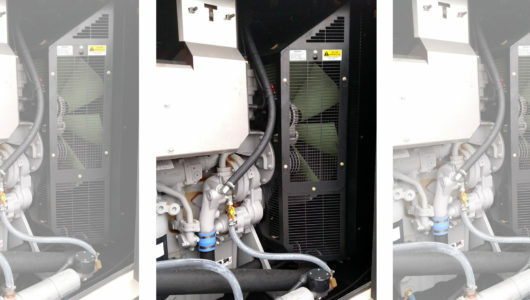 Load Bank Tests can reveal the health of your generator.